Operation Christmas Child – National Collection Week – November 14th – 21st! During the hustle and bustle of the Christmas season, it is so easy to get caught up in the busyness that can come with the holiday. My husband and I both want our girls to understand the importance of generosity and giving to others. We want this spirit of generosity to not only happen at Christmastime but be a part of who they are as they grow up. Operation Christmas Child is a wonderful program that started in 1993 and is sponsored by Samaritan’s Purse. Their goal this year is to reach and surpass 100 million kids who will have received a shoebox since 1993. Families pack these shoeboxes & then give them to Operation Christmas Child to distribute to children in need in developing countries. Boxes are packed full of basic hygiene items, as well as school supplies, clothing items & a few fun items like toys or candy to brighten the children’s days . Operation Christmas Child comes at the perfect time for our family as it really helps us start the holidays off on the right track by keeping our focus on giving to others. 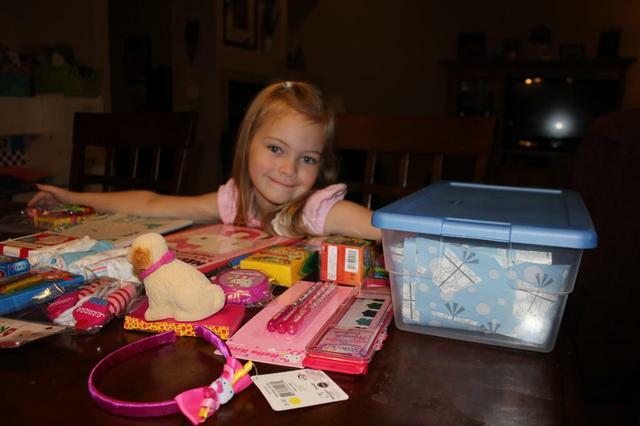 We’ve packed shoeboxes for the last few years with Operation Christmas Child and my girls get so excited to put together their boxes for a special child who will receive the box. They put a lot of thought into what they will choose to make the box special and unique and it provides a great learning experience for us to share about what that child may not have access to in their home (socks, toothpaste, brush, and more). 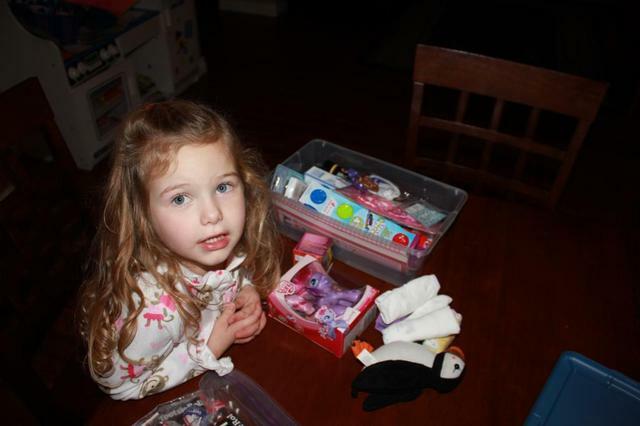 This year, our girls each packed their own box (my 4 year old packed a box for a 2-4 yr old girl and my 6 year old packed a box for a 5 – 9 year old girl). 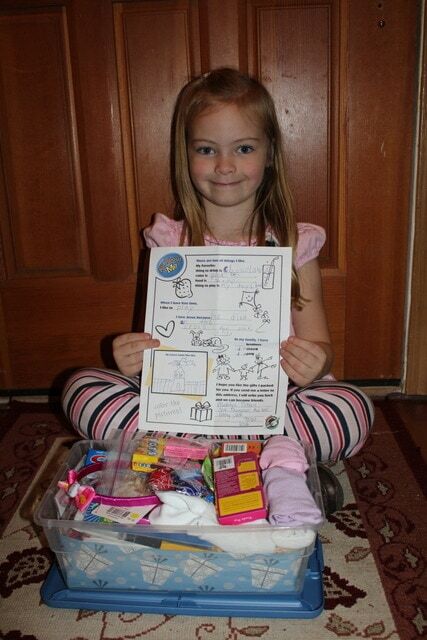 They each picked out everything that would go inside of the box, with just some ideas from us on the necessities. Many of the items we bought came from the Target Dollar Spot and everything else we managed to find for around $1 each around the store (with the exception of the underwear, socks & small toys). You could also shop at the Dollar Tree if you’re on a strict budget, to make sure your prices stay low. If you are a couponer, this a great time to raid your stockpile for toiletry items as well as school supply items. This will really lower your out of pocket cost. Don’t forget to print off a Operation Christmas Child Information and Coloring sheet – this is really fun for the kids to fill out answering questions about their life & likes/dislikes and it also gives them the chance to put their address down. 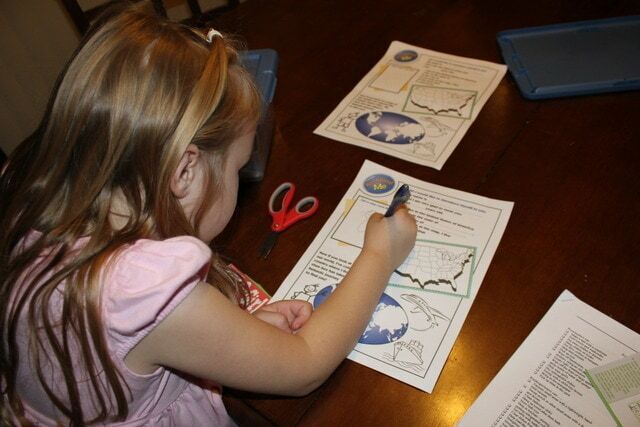 You never know if a child may find a way to write to your child if you leave your address. It’s also fun to put a picture of your child in the box so the child that receives the box can feel connected with the person who gave it to her/him. Operation Christmas Child now offers a way that you can track your shoe boxes and find out which country they will be delivered to. In order to have your box tracked, you must pay online (you pay $7 to cover the shipping/handling charges) and print off a label with a unique bar code. You can then use this same label with the unique bar code on all the boxes that you donate. You will then receive an email in a few months letting you know where your box is headed. Like I mentioned, ours were delivered to kids in the Philippines last year. We love knowing where our boxes will end up so that we have a specific place that we can talk about with our girls and pray together for the children in that country. Proud of her shoebox! She even added some gift wrap inside all the way around to add some extra pizazz! 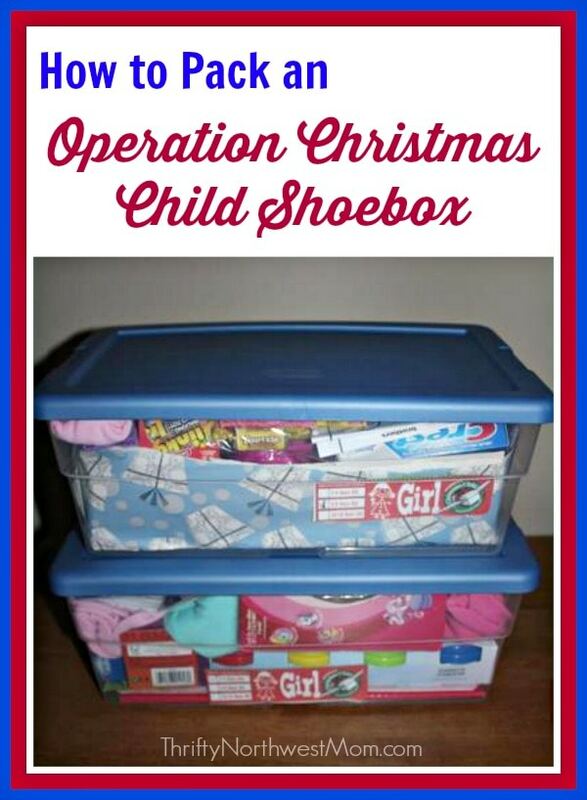 National Collection Week for Operation Christmas Child shoeboxes will run from November 14th – 21st, 2016. 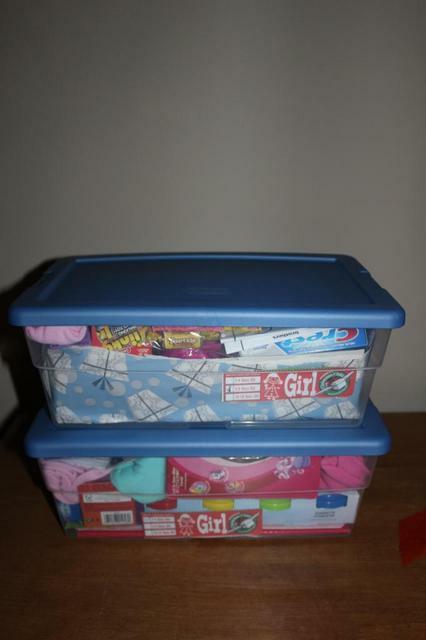 All you need to do is pack up a shoebox – we did this all in a few hours – headed to the store to pick up our items and then came home and packed them in the shoebox together. Print off a label and add $7 for shipping & handling – you can either pay online or put a check inside the box along with a form with your information. Then, find a list of drop-off locations in your area and you can bring your box in by November 23rd. If you don’t have time or energy to pack a shoebox, you can still participate by going online to the Operation Christmas Child website and you can “Build a Box” online. You can either pay $30 to send a box yourself or gift it to a friend or family member. The cool part is that you can still personalize the box with a picture and a note that you can add online. This is a great guide for someone who is new to the organization! Thank you for posting. I would recommend using a square-cornered cardboard box as opposed to the plastic containers. Plastic containers are harder to fit in the shipping boxes meaning less children get boxes at each site. Also, they tend to shatter by the time they even reach the distribution center much less half way across the world! I always try to add plastic food-safe containers or water bottles inside my shoeboxes stuffed with toys so they still get something they can reuse.